Projects on efficient distribution of citywide electric vehicle charging stations, a budgetary tool for C-level executives, and a method for bringing about efficiency in network equipment logistics in telecom industry that resulted in crores of savings were among the winners of the Business Standard Best B-School Project Award 2018. The top prize went to Nimesh Shah from the School of Petroleum Management, Pandit Deendayal Petroleum University (PDPU), Gandhinagar, for his project on mapping out charging availability for electric vehicles in Bengaluru for Sun Mobility. The project came about after the Karnataka government announced a policy for 5,000 new e-autos within the city. His project looked at population density, and existing fuel outlets, among the factors for the analysis. The model which evolved can be used as a template across major cities for planning future e-auto transport ecosystems. The first runner-up was Harshil Shah of the KJ Somaiya Institute of Management Studies and Research. His internship project with consulting firm GEP Worldwide resulted in increased efficiency through a strategy dossier as well as the creation of a budgeting tool for CXOs. This was adopted by a key client of the firm, and resulted in similar tools being requested for regions including South America, Europe, West Asia, and Africa. Shailesh Mahajan from the National Institute of Industrial Engineering (NITIE) was the second runner-up. He worked on improving reverse logistics involved in the movement of network equipment for Bharti Airtel. Packaging changes and standardisation resulted in a Rs 17-crore savings during the course of the project itself. The eleventh edition of the awards saw a power-packed jury select the winners based on presentations made by five shortlisted candidates. “The quality and complexity of the projects is improving every year. I am pleased to see candidates making use of statistical modelling and other cutting edge tools to test the hypothesis and provide solutions instead of merely presenting an unproven opinion,” said Ajit Balakrishnan, founder and chief executive officer at Rediff.com and the chairman of the jury. “In my solution, main parameters like mobility, electricity infrastructure of a city are factored in and locations are identified which ensure a higher capacity utilisation and thus benefit electric vehicle users and those deploying charging infrastructure,” said Nimesh Shah, the winner. “It was a very fairly evaluated competition with clear-cut guidelines and a third-party auditor,” said K KJ Somaiya’s Harshil Shah. 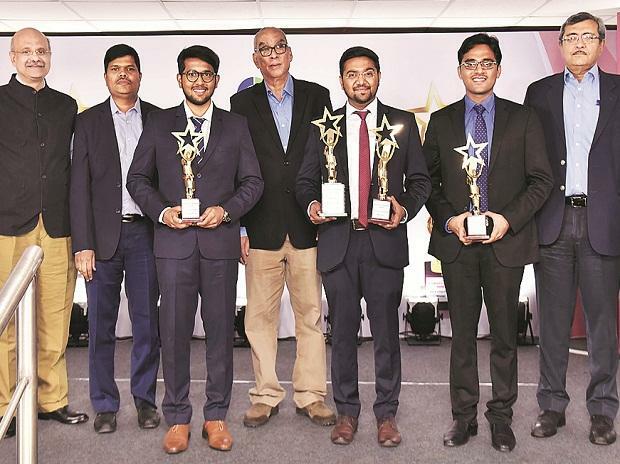 “The jury’s questions were thought-provoking and they also asked about the practical execution of the project,” NITIE’s Shailesh Mahajan said. Business Standard received 131 entries from which the five were selected for the final round. Among the projects awarded consolation prize included an entry strategy for Cummins India in the solar industry by Prerna Chopdar from Vinod Gupta School of Management, Indian Institute of Technology (IIT) Kharagpur; and one on increasing awareness and consumption of fortified milk by Roopal Singh and Vyom Joshi from the Institute of Rural Management, Anand (IRMA) for the National Dairy Development Board.